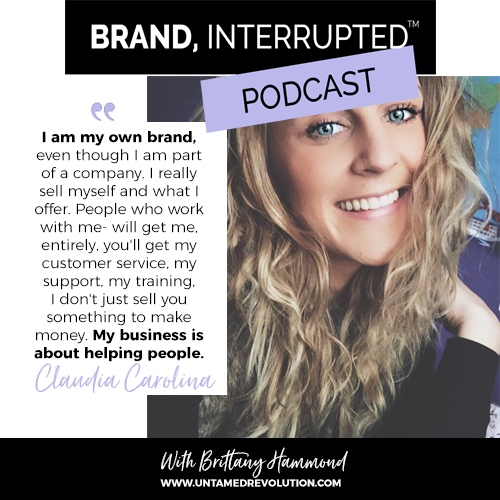 Claudia Frac is a certified yoga instructor, a newly graduated nurse, a full-time caregiver, and a business owner in the health and wellness industry. Before the age of 30, she has run two businesses and pursued school full-time. She currently works in the social marketing industry, helping others with safer products and coaches others how to start their own businesses to create multiple income streams and start creating their own life by design. Watching both of her parents fight cancer at different times in their lives, she shares with others the importance of being prepared for impact and how adversity has shaped the woman she has become. Asking the touch question: what am I going to have to sacrifice temporarily, in order to achieve certain goals ? Dealing with judgement from people about your business + discovering who your REAL friends are. There's a right and a wrong way to promote yourself online. You can't just bombard your social media with sales and discounts. You have to cultivate relationships in an authentic way. If you're just blasting sales + discounts all the time online, you're creating a bad reputation for everyone in the industry. You're devaluing what you offer. You won't see me doing that because I create connections with people. I am just myself. I am my own brand- even though I am part of a company. I really sell myself and what I offer. People who work with me- will get me, entirely, you'll get my customer service, my support, my training, I really help you figure out the best products. I don't just sell you something to make money. My business is about helping people. We need more people that really create relationships with people and not just selling and discounting all the time. It's about customer service. It's about being real. It's not about a quick buck. "I know why I'm doing this and other people's opinions and judgements are not paying my bills." "The thing people get wrong about network marketing is that you need to work, it is a business and you need to treat it that way and be consistent."